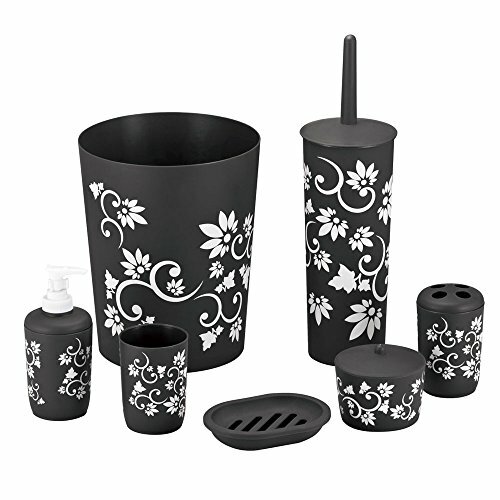 Your bathroom decor helps you set the tone for your day and helps you unwind for the night. 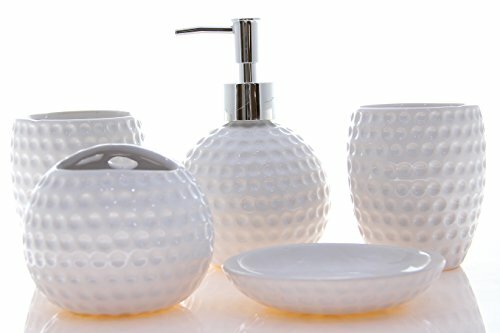 From your bathroom accessories to your shower curtains, each piece contributes some of its color and texture to the ambiance of the bathroom. You get to decide whether you want a refreshing, bright and colorful atmosphere to start your day in and relax at the end of your day. Or you can choose the calmness of a Zen bath for a day of mindful productivity and an evening of blissful rest. But there’s everything in between to choose from too! What will you choose? What do you like? Ok, so how do you create that wonderful, inviting bathroom? 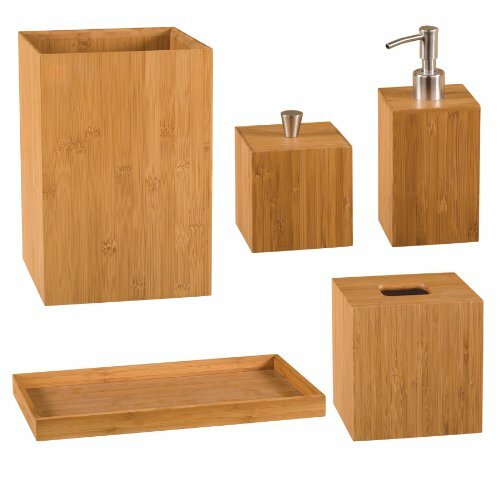 You choose the bathroom decor that speaks to you–your preferences, your likes, etc. That’s still enough room to pick a theme or style that shows your style, while creating a bathroom that you won’t want to leave. It may seem overwhelming with the hugeness of the selection of bathroom accessories out there, but here are some tips for narrowing down to the right bathroom decorating ideas for you and your home. Take a good look at how much space you have. If you have a tiny bathroom, you may not want huge prints or images crowding it. On the other hand, you won’t like tiny prints in a big bathroom. 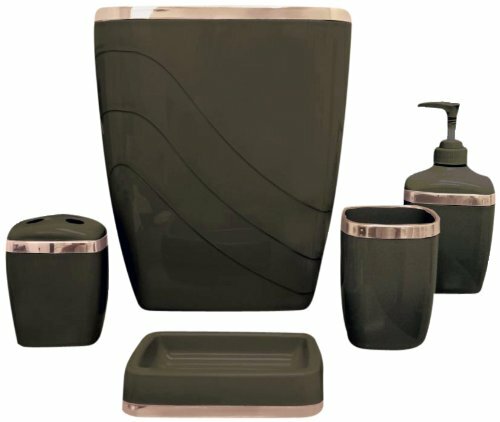 Pick a theme or color or style for your bathroom. What color is your bathroom? Will you be painting it? 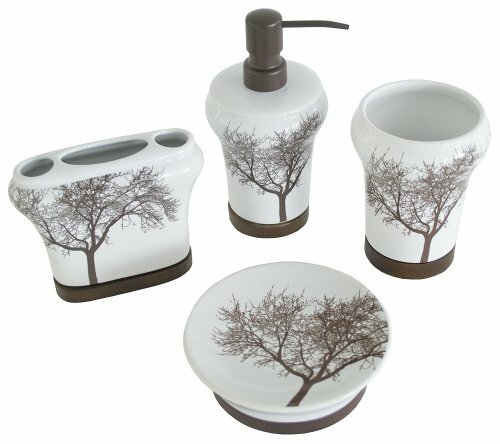 Do you like vintage style bathroom accessories? Do you want your bathroom to be a fun theme, like the beach, Mickey Mouse or Hello Kitty? Or how about a completely red bathroom decor? Or blue? Or green? What reaches out to you the most? Choose your decorative bathroom accessories carefully. 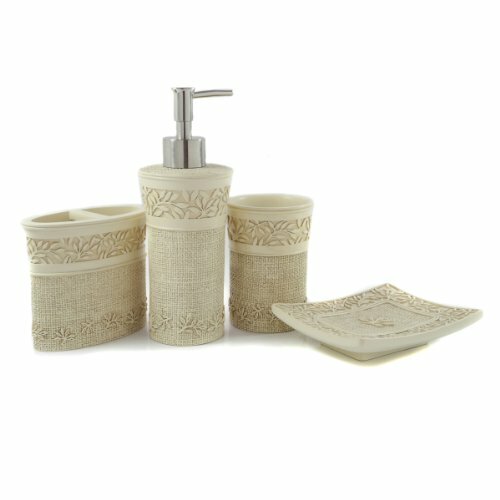 Make sure everything you choose, from soap dishes to bath mats to waste baskets are fully functional. Resist the urge to bring in too many decorative items. You could end up with a crowded feel and a cluttered look. My main bathroom is kind of small, so I used a pastel salmon color against the blue walls. Yet, I do enjoy changing things up at Christmas for example, so I keep extra bathroom accessories I’ve gathered over the years. That way, when I’m in the mood, I can go theme or I can do subdued. It’s ALL fun to me! 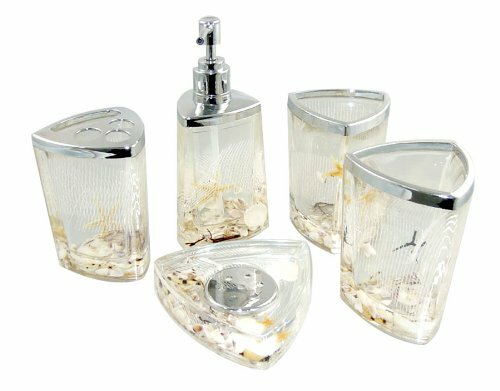 These bathroom accessories will dress up your vanity, and add pretty decorative touches to your bathroom. They are available from Amazon, and offered at some of the best prices you’ll find online. 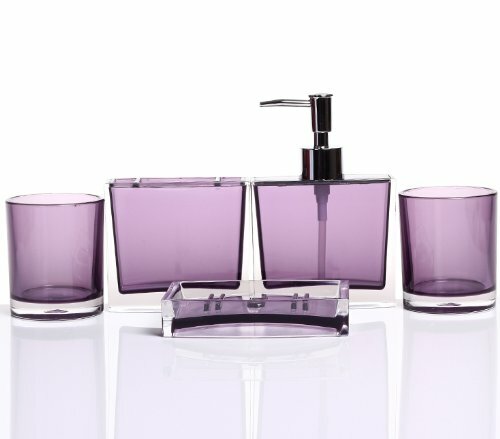 No matter what color scheme you have in your bathroom, there is a vanity or bathroom set for you! What sort of bathroom are you decorating? A children’s bath? A guest bathroom? The master bath? Or maybe a dorm room bath? Today it’s more fun than ever to let your style and personality shine through your decorating ideas. 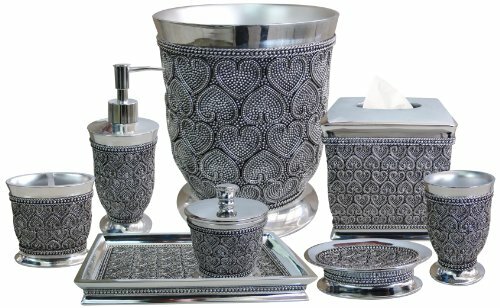 I hope you enjoy the selections of bathroom decor themes, colors and styles we bring you along with some fun decorating ideas. I also hope you find super easy to decorate the bathroom of your dreams! Enjoy! 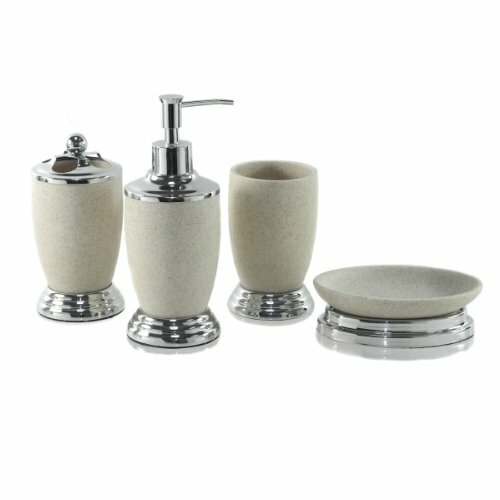 You will find a variety of terrific bathroom accessories on eBay. There’s something here for every design color and style, and it’s so easy to bid on your favorite products. 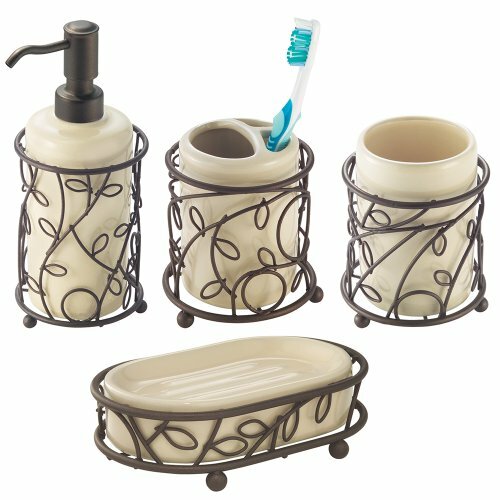 Add some cool accessories to your bathroom today. Once you get to eBay from clicking on any of the products below, you can always search for other colors and items. 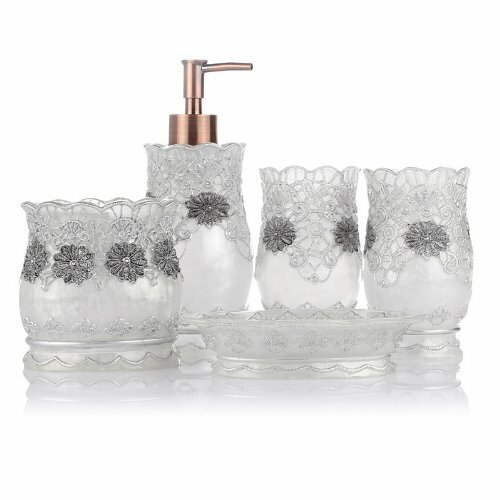 6 Piece Bathroom Accessories Set,Plastic Bath Set Lotion Bottles,Tooth Mug New! I love your new blog and great looking post. We are getting ready to redo our bathroom soon, can’t get enough exposure to great ideas.